Don't grow your own; get your credit card out instead! When I had a nursery business, back in the 1980s-1990s, one of my gripes was the problem of plants being sold at too low a price. Pricing anything is always difficult, and prices rarely reflect the actual cost of production; often its a case of 'what the market will pay'. Well, over the years, the price some people will pay for plants has certainly gone up, and although there is still underpricing and bargains to be had, there seems to be much more readiness to pay silly money. “A fool and his/her money are easily parted” says the old English saying, and it's as true in gardening as anywhere else. Since my nursery days, there has been a huge increase in the sale of plants which in the past would have been available only as seed. I don't mean the bedding plants or veg plants which need a couple of months under glass before they can be risked in the big chilly world outside, I'm talking about easy stuff, like lettuce, and sweet peas, and cosmos. Partly I suppose this might be a reflection of many people living in places where starting seed might be difficult, but I can't help the feeling that this has been an opportunity for the nursery industry to make money through a process of de-skilling the amateur gardener. There are so many plants which are so easy from seed, and as many have found, there is a great deal of satisfaction in growing your own plants this way, right from the beginning. Today's gardeners seem to be increasingly tempted into buying ready-grown plants rather than seed. On a recent visit to our local garden centre (one of the Wyevale group) I was horrified by how hugely reduced the seed racks were. The message seemed to be, if you want it from seed, go online. Going online in fact is where a lot of folk seem to be going anyway, for plants as well as seed. So I thought I'd take a look around and see what the gardener-customer is being offered for their money. Crocus, the biggest online plant retailer in the UK are charging £7.99 for a 9cm pot of Angelica gigas, a biennial, so it'll be dead within a year and a bit, BUT it will leave you with lots of seed which if you can sow right away (and this will be the September of the year after spending your £7.99) and you can discover for yourself that the very plentiful seed comes up like the proverbial mustard and cress and you can try potting them all up and flogging them all at next year's church fete for £7.99 each. Good luck! (BTW, leave the seed til spring and none of it will come up!). The Guardian Garden Centre (i.e. the newspaper's online retail wing) is offering 72 perennials for £19.99, as plug plants. A very good deal if you know what 'plug plants' are and can look after them appropriately. No definition of a what a 'plug plant' is though. “Up to 1 metre. Spread 45cms.” The list includes Armeria, which I think is a little bit, just a weeny little bit, less than this, along with some not-perennials, and I don't just mean the short-lived perennials I am always banging on about (although it is one of these, an Echinacea) which is the main image, but biennials like Digitalis or 'stagger into year two if you are lucky' annuals like Verbena bonariensis. Its an insane mix: including delphiniums, lavender, geum. I dread to think what this lot will look like when planted out together, probably with no reference to size, conditions etc. Mind you twenty quid for 72 is not so bad, unlike the £11.99 they are asking for a “powerliner jumbo plant” (whatever that is!) of Lavatera 'Barnsley Baby'. I have looked for this variety online and cannot find any information about its size, the name of course suggesting that this is a mini variety of the plant that Rosemary Verey found in someone's garden in her home village in Gloucestershire, sometime in the 1980s. Well, mini and mallow family don't tend to go together and since 'Barnsley' grows at a rate of knots to 2m plus, I would be sceptical and cautious. Possibly not something for the pot on the patio which is what the advertising suggests. I have found over the years that it is customary in many quarters to be rude about Sarah Raven's retail empire. Some of her prices are astonishing, four basil plants for £4.50! when you can go down to any supermarket, even the ones the proles shop at who don't buy their plants from posh Sarah Raven, and buy pots of live basil for much less. I just checked the Tesco website - £1.25 for a pot with a lot more than four seedlings in it; many a gardener pots these on to a bigger container and keeps their £1.25 plus a bit more compost and a second hand pot investment going all summer. A lot of this is to do with social cachet, as there is a certain type of customer who, so maintain street cred with their friends, would never buy anything from anybody other than SR. You can almost see them rub the Tesco label off the pot of basil on the kitchen windowsill as one of their friends arrives for lunch in a BMW crunching its way over the Cotswold gravel in the drive. “Got it from Sarah, isn't she a darling!”. Actually, to give Sarah her due, what you paying for (some of the time, although not the basil) is her knowledge. There are zillions of dahlias, tomatoes etc etc and she does trial things thoroughly and her recommendations are the result. 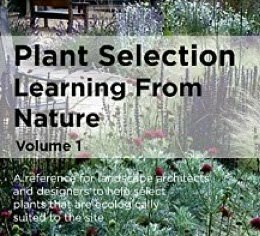 These are good plants, no doubt about that, and the website is very informative. The sending of seedlings (SR's Cosmos 'Purity' are £8.50 for 10) is a big part of what people seem to be prepared to pay for when ordering plants online. With some plants this is entirely understandable. Every year I grow plants for Jo, and some of them, Antirrhinum and Ageratum for example are very small and fiddly, and die off at the drop of a hat – quite honestly only the experienced gardener would bother with them, but Cosmos! Big chunky things that come up in days, and can be pricked out practically blindfolded. I find it sad that so many people are passing up on the incredible satisfaction of growing easy annuals from seed. Turning to vegetable plants, getting someone else to grow your pepper or tomato plants makes sense, as many people simply don't have the facilities to grow them, but carrots (four for $4.35 from the gardenharvestsupply (dot com) or, from the same company three “German Giant Heirloom radish plants” for $4.35! Of all veg., growing radishes from seed has to be the easiest. Apart from anything else, like the sheer stupidity of paying over a dollar a root, is the unsustainability of all this: the compost, the pots, all the packaging, the fuel for the UPS truck; all those resources that goes into sending this nonsense. Many vegetables and salad crops bolt very quickly as a reaction to stress, so sending them through the post to grow at home or even buying them from the local garden centre can be pretty counterproductive. So imagine my horror last year, when down at the Royal Horticultural Society garden at Rosemoor in Devon, I find pots of mizuna seedlings for sale, can't remember how much; but - separate those seedlings and they are going to instantly bolt, and your little seedling mizuna might garnish a sandwich and no more. Selling plants that are bound to fail is bound to discourage the novice gardener. It gets worse. The Tasteful Garden dot com sell arugula/rocket seedlings, “at least two plants in each pot” for, $5.95. Yes, nearly $3 each for the crop which after the radish, has to be the easiest seed to germinate, and which with a bit of summer heat (and they have quite a lot in the land of the dollar) gives up growing leaves and bolts, fast. Breathtaking daylight robbery some of this. And sad, when so much growing from seed is so easy, and so life-affirming and empowering. Its the end of the winter and it has been very wet, and for the most part very mild. We have a long growing season here in the Welsh borders anyway, and the winter wet adds to the problem. A long growing season a problem? Yes, because it means weed grasses, and a few other things, like creeping buttercup, can just keep on growing continually, while the range of perennials we want to grow, both garden and native species, are dormant. We have, in Britain, an incredibly aggressive flora of species, basically grasses, that are very effective at smothering the ground and most other non-woody vegetation, which if left unchecked they eventually eliminate. It is one reason why we don't have much of a problem with invasive alien species, as they can never get a foothold. But who needs invasive aliens when you've got invasive natives? They, and I basically mean tillering and rapidly spreading grasses, can grow at low temperatures and root very quickly into new ground. They are one reason for the low floral diversity of much of the British countryside (the other main one is the last Ice Age). In the garden they smother perennials, rooting into the crown and establishing a canopy of foliage before the perennial starts growing. This is also one of the reasons that so much of the British countryside has very low floral diversity. The result of all this is that we, in the west of Britain, have a major problem dealing with weedy grasses. A major problem. Our own plot has a fertile soil, particularly rich in phosphorus, which grasses love, and it is quite heavy, so getting weeds, fine-rooted grasses in particular, out, is THE problem. I would say that weeding is our number one garden task, in fact I would say that it is equal in time and effort to all the other garden tasks combined. People who don't garden here probably have no conception of how problematic this is. If I were a 'normal' gardener I would be less ambitious, plant densely and be do a lot of hand weeding. But because of my professional interest in researching diverse low-maintenance plant mixes, I've got a lot of ground to cover. I want to get a sense of how realistic it is for those who work with minimal resources, such as in public spaces, can manage, so I have to look at all weed control methods. And it is a conundrum. In light soils this is easy and basically can be regarded as solving the problem. Here on our heavy soil it is every impractical until the soil dries out, as you end up with a barrow full of clods of earth, it being impossible to shake the soil off the roots. 'Traditional' garden practice involved a lot of hoeing, which detaches weeds from the soil, so they dry out and die on the surface. However, conventionally it went hand in hand with having bare earth between plants, which simply offers habitat to yet more weeds. I, like many other 'naturalistic' gardeners, aim at having as extensive a vegetation canopy as possible, which is one of the most effective ways of preventing weed growth. During the winter however, with most perennials dormant, the native weedy grasses can move in, from any seed left from plants which were not removed last summer. Hoeing amongst established perennial clumps is not easy, often ineffective and in our conditions weeds don't die on the soil surface unless we have a dry east wind – they actually carry on growing and then re-root! Hoeing has many other disadvantages. Too early in the year and if you make a mistake, you decapitate a perennial. It is also quite destructive, of seedlings of desired plants and of the whole layer just above the soil surface - of decaying plant remains, mosses, small harmless creeping spontaneous plants – this layer being an important invertebrate habitat and therefore crucial for garden biodiversity. It, and hand digging, also disturbs the soil, bringing up yet more seed seed. The idea of burning is an unorthodox one, but one which the prairie movement has introduced us to. It is the oldest land management tool: a great many tribal cultures around the world have used it to manipulate their environments throughout history. Out in the country, where we are, it is possible to cut down perennials, and then have a prairie burn with the debris. Not really very sociable if you have neighbours! And not legal in many places. The alternative is to rake off the debris, compost it or use it as mulch elsewhere and then go over with a flame gun. Burning certainly knocks back weed grasses, so they are forced to regrow and by the time they do so, the perennials will coming on full stream. Burning will kill seedling grasses and a lot of other early germinating weed seedlings, such as goosegrass. 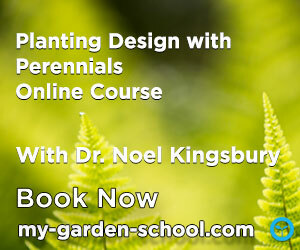 However, if you have evergreen perennials, very early emerging ones, or bulbs, it has to be done very carefully. Burning is a particularly good and fun way to get rid of grass debris. Molinias and Calamagrostis go up like fireworks, to the extent that if I were a public park manager in some places I would think twice about planting them. Miscanthus here does not dry out enough, although in the US I am told it goes off like a bomb. Taking a flame gun solution to late winter weeds is a relatively new practice, widely promoted as an alternative to handweeding/hoeing or using herbicide. It is also increasingly being used in organic farming. It is of course is not particularly sustainable, even less so than Roundup, as propane gas is a fossil fuel. It, and prairie burning are also very destructive for the same reasons as hoeing – goodbye desired seedlings and ground level habitat. It also will not kill deeper rooted perennial weeds, or indeed most weed grasses when established. For persistent perennial weed grasses it is actually pretty useless. I am not organic (it won't feed the world) and Roundup comes in very useful for the most difficult places, or where I simply get to the end of my tether with weedy grasses, and it is a fantastic time saver. It is non-persistent and does have a good safety record, but we can never be sure, and research may yet show something up which may mean we should consider not using it. Many studies have been conducted over the years and it has come out well on the safety front (though it should not be used on sandy or stony soils which don't absorb it and allow it to be broken down by bacteria, as happens on humus or clay rich soils, and of course nowhere near water). Some recent studies have suggested it may be a carcinogen, but the jury is still very much out. There is a bigger problem though, essentially a political one, as it is so impossible to have a sensible discussion with many people about Roundup, as they have made up their minds it is a creation of the devil, and that's that. The organic movement is a dogma after all. But the fact that to many people it is unacceptable is where we are at, so finding alternatives is important, which makes me all the more interested in researching a wide variety of non-chemical methods of weed control. I think you could make out a good case that Roundup is the least invasive method of weed control, as it does not destroy the immediate above ground habitat, leaves mosses untouched, and there is, as far as I am aware, no evidence of a significant negative impact on animal biodiversity (I've just been through a load of scientific papers on this). It, like burning, also avoids disturbing the soil and so bringing up buried weed seed. But convincing many domestic gardeners of this is probably about as fruitless a task as persuading Donald Trump to believe in climate change. Before I leave the subject of Roundup, if there is anyone still reading, I would like to make a parallel with agronomy. The Americans have, for some time now, been giving up ploughing, the practice that for many of us is somehow synonymous with arable agriculture. Ploughing is very destructive of soil structure, of soil life, and can encourage disastrous soil erosion. It is for this latter reason that the US Department of Agriculture has for some time now been encouraging 'no-til'. There are other good reasons too, as not ploughing soil means that the soil builds up its organic content, good for holding on to water, nutrients and sequestering carbon. In fact no til is being promoted as a major carbon dioxide sink, and therefore an important part of controlling CO2 emissions. The idea is beginning to catch on with British farmers too. Trouble is no-til classically involves spraying weeds off with the dreaded devil's milk Roundup and then, a few weeks later sowing with a device which slices through the dead weeds into the soil and sows the crop seed very precisely. The alternative is a fossil fuel flame gun. There is no easy answer here. As more and more species seed and spread my plantings are getting denser and therefore more weed resistant. However there are some perennials which do seem to be particularly prone to grass invasion of the crown and no amount of dense planting will ever solve this if there is a local source of weed grass seed. 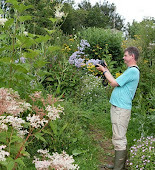 Encourage ground level perennials which will deny spaces to weeds but survive the competition of the taller perennials. Now this is a tall order! Primula vulgaris, P. elatior, polyanthus and other hybrid primroses are actually pretty good at this as they are more or less summer dormant and do most of their growth in the October to April period when the the heat-requiring summer perennials are dormant. Liriope too, but in our cool summer climate this spreads so slowly as to be almost useless. There is not a lot else. Plant a matrix of weed suppressing evergreen ground cover and then grow taller perennials in it. I tried this with the evergreen Carex glauca, and it was a total failure, as all sort of weeds from grasses to seedling Geranium 'Claridge Druce' moved in and took over. I'm now trying it with Phlomis russeliana which here is our most effective weed-suppressing perennial but which has co-existed well with several robust perennials for five years in some research plots. Any more suggestions? This can be very fruitful. I have never understood why some people get so het up about lesser celendine which spreads like mad, flowers in March and then goes dormant. What problem is that? Creeping buttercup may be a pain but in with established taller perennials it soon gets overshadowed and can then be appreciated as a nice spring wildflower. I am debating about whether to leave it some of my research plots. At the end of the day a weed is something which has the ability to out-compete and therefore destroy the plants we are trying to grow. This is what I am intending to do with those parts of the garden which are not research plots, where decorative impact is important and where weed grasses have been a particular problem. Many mulches simply rot down too quickly but council green waste seems to be much longer lasting, possibly because it is composted at a high temperature and is therefore almost charcoal like (on the way to being bio-char perhaps?). Weeds pull of out it nice and easy. So the plan is, buy a lorry load, and get it spread, creating a new and much more friable surface for weed control. I think this weed grass control issue is so important, I'll do an annual update. Now, for having even mentioned the possibility of using Roundup, I'll sit back and wait for the death threats.